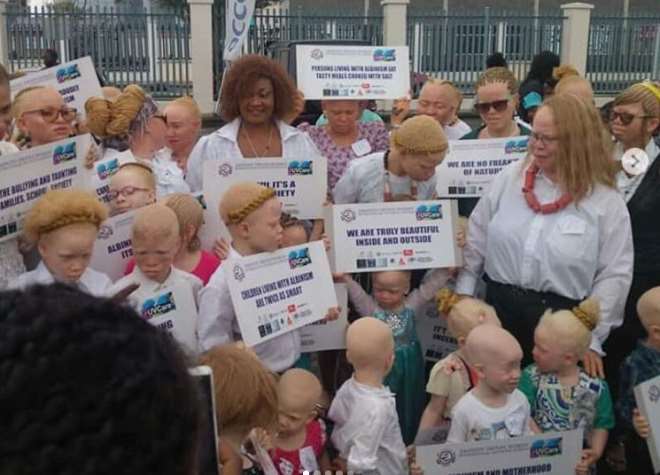 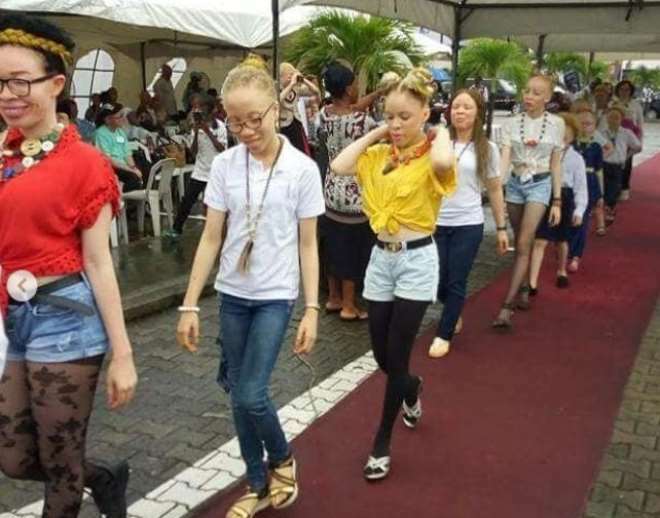 Often times, we wake up to hear some ugly news about how Albinos are being treated in some parts of the world especially in Africa and these has created some form of fear in the hearts of those created with the unique kind of body. 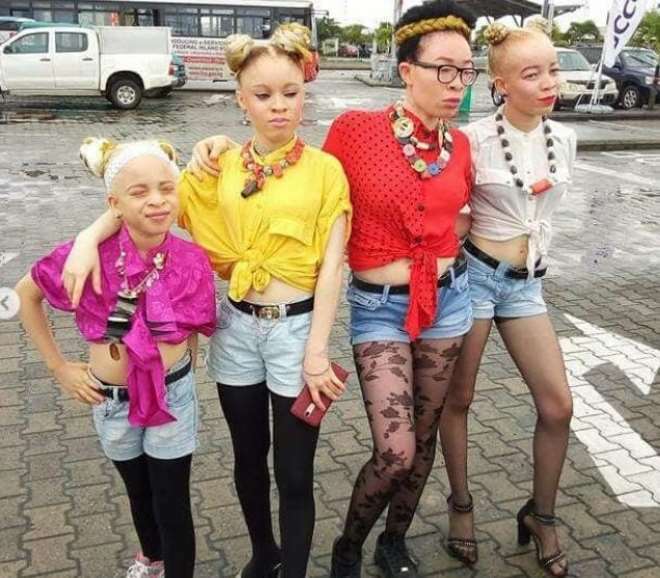 Despite how these Albinos try to push themselves in the society they are sometimes being mocked or refused access to some things which makes them kind of stay isolated while they question their creator. 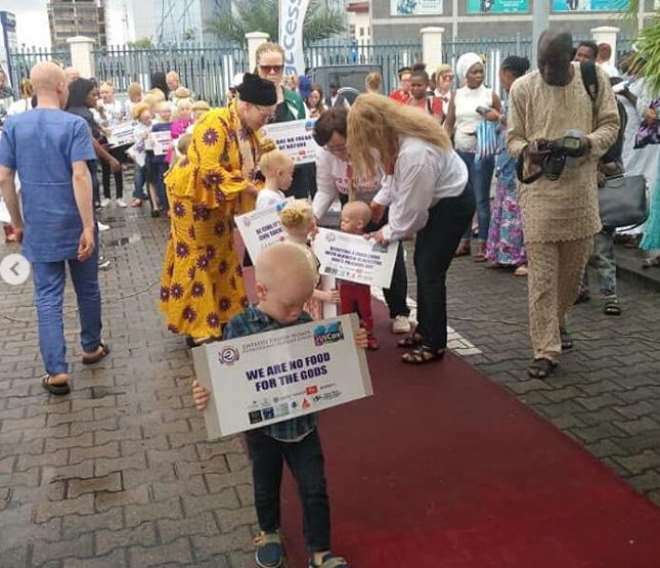 Even though in Nigeria they get some kind of equally form of socialization, it has not gotten to the point it should and as such, there was an awareness campaign recently where Nollywood actress, Ronnie Dikko, joined in showing her love and support for them.